Oysters have the highest dietary zinc content. Did you know that the mineral zinc is necessary for human life? It is involved in growth and development, the immune system, mechanical movement and reproduction. Additionally, biological zinc helps heal your wounds and allows you to taste and smell. Most zinc is acquired through eating a balanced diet, but it can be taken as a supplement as prescribed by your physician. Zinc deficiency is rare in North America, but can be a problem in developing countries and certain high-risk groups. Many vital chemical reactions in your body are dependent on zinc. Zinc plays a role keeping your cells healthy and your hormones functioning properly. Low levels of zinc can cause cellular dysfunction, which may lead to immune system deficiencies, visual impairment and behavioral disturbances. The recommended dietary allowance for women is 8 milligrams per day, but pregnancy and breast-feeding will increase that amount to 11 or 12 milligrams per day, respectively. Certain individuals at risk for zinc deficiency will derive benefits from proper levels of dietary zinc. 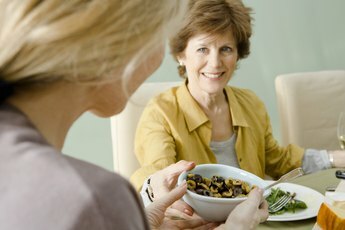 Vegetarians who consume large amounts of grains and legumes have reduced zinc absorption due to the presence of a natural chemical in those foods called phytic acid. They may need 50 percent more zinc in their diets to compensate for phytic acid interference, so would likely benefit from increasing their dietary zinc. In addition, pregnant women, as well as individuals suffering from sickle cell anemia, bowel diseases and malnourishment, risk zinc deficiency. It's likely that most women get enough zinc in their diets. Therefore, increasing dietary zinc is usually not necessary. Normal dietary zinc does not have any disadvantages. Adding a zinc supplement to your diet, however, can be dangerous to your health, causing stomach upset, nausea, vomiting, headache and anemia. Only individuals with low levels of zinc, as determined by a physician, should be using a zinc supplement. Also, excess zinc can interact negatively with certain prescription drugs used for blood pressure, antibiotics, anti-cancer medications, corticosteroids or water pills. Zinc is a mineral found in the earth's soil. Foods vary greatly in the amount of zinc they contain because higher amounts of geographical zinc will produce higher amounts within plants grown in those soils. 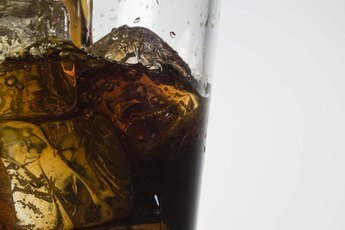 Additionally, zinc may be present in your drinking water. As zinc-rich soil erodes, the zinc is released into the water supply. If your physician suspects you have low zinc levels, she may request laboratory testing of your blood, urine or hair. Modifying your diet is the best way to increase low levels of zinc. 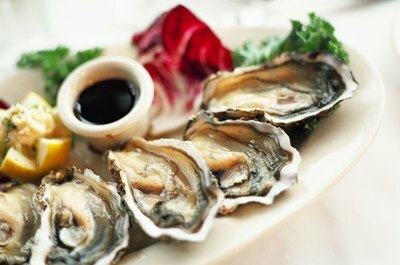 Foods high in zinc include, oysters, crab, red meat, yogurt and milk. Also, many cereals are zinc-fortified. What Food Group Must a Person With PKU Avoid?